My goal is to make each dental visit as comfortable, productive, and pleasant as possible. This starts by sincerely listening to my patients, fully understanding their treatment goals, and addressing any concerns they might have. At Stevens Family Dental, we offer gentle, comprehensive smile care for the whole family. Dr. Jessica Stevens and our experienced team place your comfort and smile dreams as our top priority. We use advanced technology and leading-edge techniques, along with the essential human connection, to help you attain your healthiest, most incredible smile. We emphasize preventive care, so you can keep your teeth healthy and strong for life. When more intensive care is needed, our doctors recommend conservative, proven treatments that deliver the best results. We also focus on education: We want you to take control of the health of your smile! Everyone at Stevens Family Dental understands that your goals and concerns are unique. We’ll provide care tailored to your situation. In addition to dental exams, cleanings, and fillings, we offer sedation and pediatric dentistry, as well as emergency dental care. 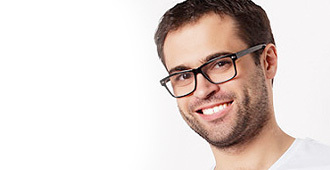 Dental implants are done in-office, by a specialist. If you would like to restore or make your smile even more beautiful, we can help. We offer a range of cosmetic dentistry options, including teeth whitening, veneers, and bonding. 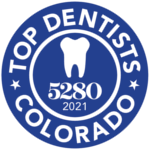 Please contact our Lakewood, CO family dental office and schedule a complimentary consultation or second opinion. We serve Denver, Littleton, and all nearby communities. Dr. Stevens and the Stevens Family Dental team can’t wait to welcome you to our office. We’d love to help you attain a lifetime of beautifully healthy smiles. Call today!